It is the third longest river in Asia, after the Yangtze River and the Yenisei River. The Huang He flows through nine of china;s provinces. It’s drainage basin is over 750,000 square km. The river is prone to flooding. 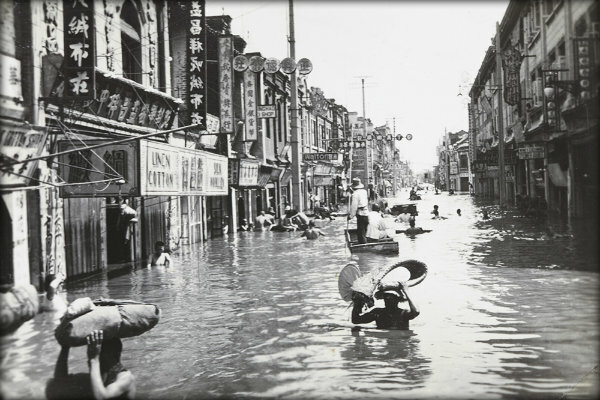 In 1887 Yellow river floods took the lives of about 900,000 people., and a similar thing happened in 1931 and 1938. Modern dams have been used to control the flow of the Huang He River, and levees and dykes are constantly being rebuilt and redesigned. One of the biggest problems facing the engineers is the build up of silt. Yellow River reservoirs need frequent dredging to maintain their water storage capacity. Although China is able to prevent the Yellow River from flooding under normal circumstances, people believe that the flood defenses won’t withstand a once-in-a-generation flood. It is called the Yellow River because of the silt it carries in its water. It was sometimes referred to as the River of Sorrow, for the devastation caused by its floods. Nearly half of China’s wheat is farmed from the Yellow River’s flood plain. Some of the Yellow River’s tributaries are: White River, Qingshui river, Wei River and the Dawen River. It carries about 1.6 billion tonnes of silt every year. Yellow River Turtles were traditionally caught in the Yellow River as a food source. It is believed that Chinese civilization began in the Yellow river drainage basin. As a result, it is often called the Mother River. A traditional Chinese saying is ‘When the Yellow river flows clear’. It is used to describe something that will never take place – a bit like the English expression ‘When pigs fly’. What next? Discover some more facts about famous rivers by visiting our river resources page.